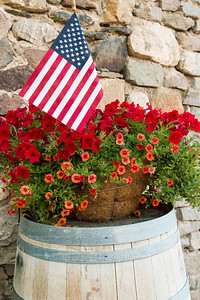 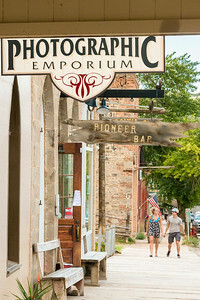 With a farmer’s market, gift shop and used book shop, the Virginia City Artisans & Growers Guild offers a variety of handcrafted items, baked goods and other locally made items. 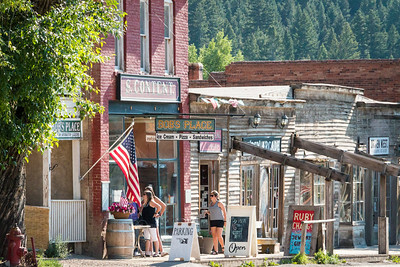 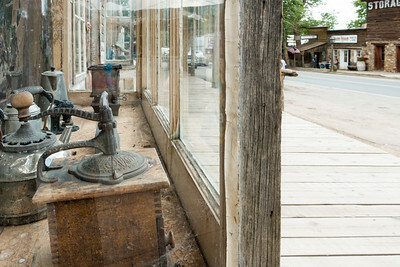 Like most of the buildings along Wallace Street (Virginia City’s main street), the Dry Goods and Notions Shop and Strasburger's Colorado Store are authentic. 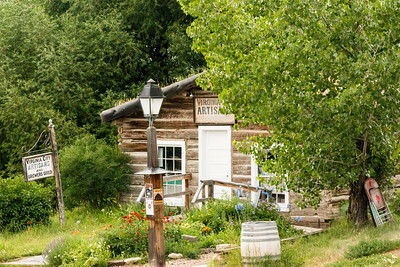 Originally built of logs in 1863, siding and false fronts were soon added to make the frontier town feel more like a “real” town. 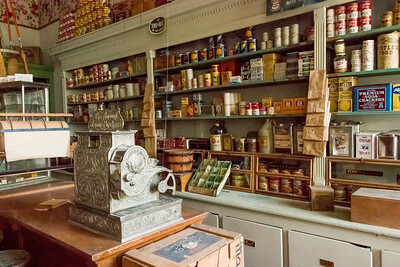 Many of the furnishings and product labels in S.R. 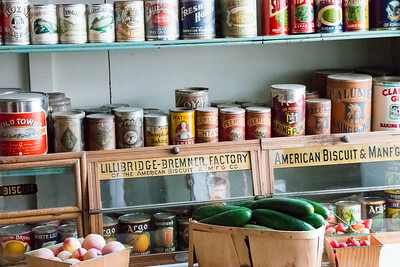 Buford’s grocery store are original. 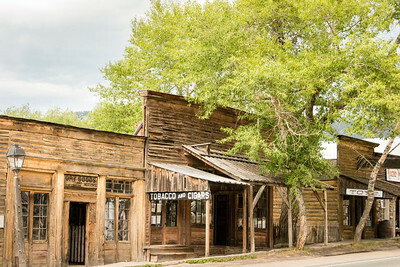 Buford supplied groceries to the region until the railroad bypassed Virginia City in 1881, going instead to Butte. 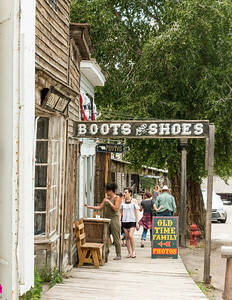 Museum-style shops filled with antique goods and furnishings are intermixed with the eateries, souvenir and specialty shops along the boardwalk on Wallace Street. 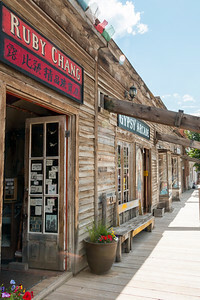 As one of the best-preserved Gold Rush era boom towns in the Rocky Mountains, Virginia City attracts nearly 500,000 visitors to its boardwalks each year. 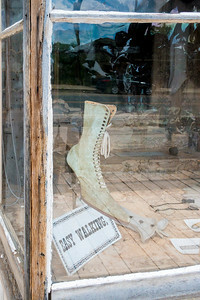 Part museum and part small town mainstreet, the boardwalk on Wallace Street offers visitors a glimpse into the past — as well as modern restaurants, specialty and souvenir shops. 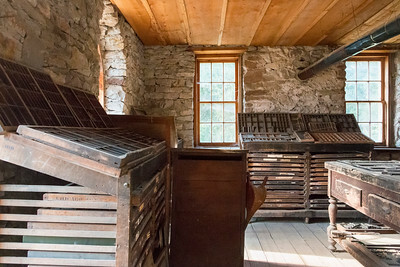 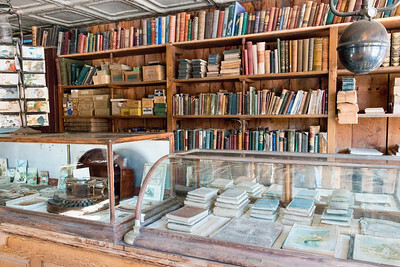 Recognizing the need for a newspaper to serve the estimated 10,000 people living along Alder Gulch, J. Buchanan began publishing The Montana Post, the Montana Territory’s first newspaper, from these offices in 1864. 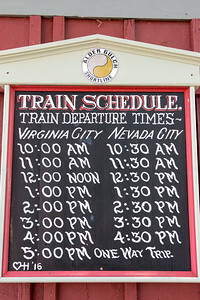 Virginia City soon became the transportation and communication hub of the region. 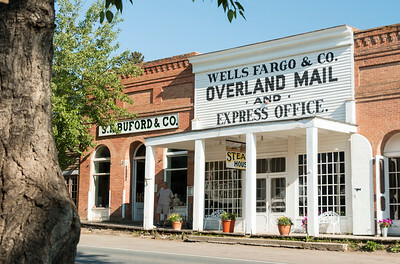 The Wells Fargo, Holladay and Overland Mail stagecoach lines connected the boom town with Salt Lake City, Utah, and other destinations. 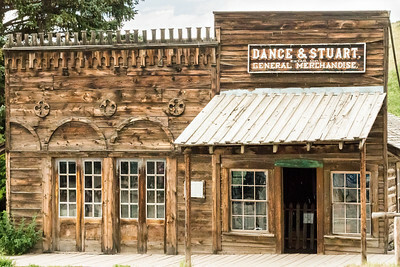 In 1866 the stage lines consolidated under the Wells Fargo name. 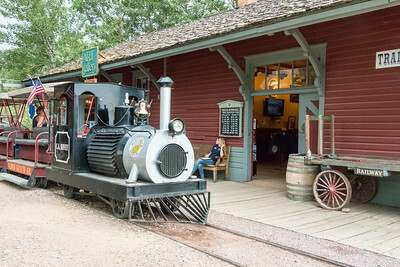 A horse-drawn stagecoach still rolls through town, giving visitors a 25-minute narrated tour of Alder Gulch that includes the site of William Fairweather’s gold strike. 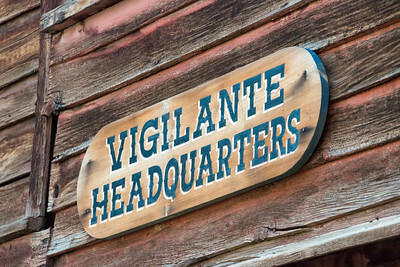 Gold brought riches to Virginia City -- and highway robbers, or “road agents.” The townspeople formed a “vigilance committee” to capture and punish members of Henry Plummer’s infamous gang of road agents. 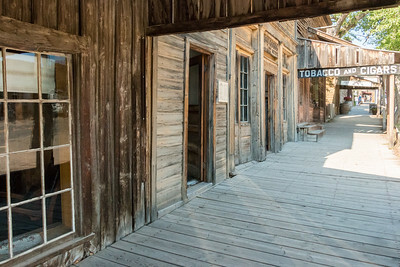 In 1864 the vigilantes hanged 24 men in the space of two months, including Plummer.